Here we are back with a new deal for you. 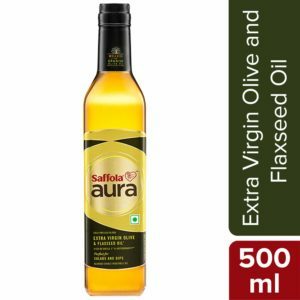 Amazon is selling Saffola Aura Extra Virgin Olive and Flaxseed Oil, 500 ml for Rs 240 only. Saffola Aura blends the finest Spanish Olive oil with Flaxseed oil to create a rich taste. So, grab this awesome deal now, before it goes out of stock. How to buy Saffola Aura Extra Virgin Olive and Flaxseed Oil, 500 ml from Amazon? Do you want 100% pure honey? 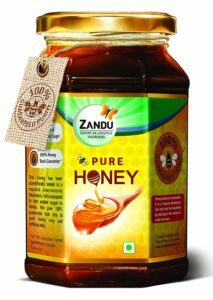 If yes, then this deal is for you, as Amazon is selling Raw Essentials Pure Unfiltered Multi Flora Raw Honey, 350g for Rs 249 only. Reviews of this product are really good. So, grab this awesome deal now, before it goes out of stock. 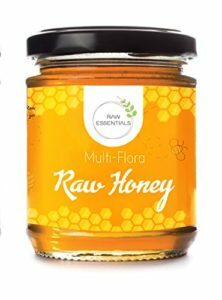 How to buy Raw Essentials Pure Unfiltered Multi Flora Raw Honey, 350g from Amazon? Here we are back with a new deal for you. This time deal is on Ready To Drink Juice, as Amazon is selling Auric Ayurvedic Beverage For Mind Body & Skin, Ready To Drink Juice, Superherbs with Coconut Water (Pack Of 3, Each 250ML) for Rs 99 only. So, grab this awesome deal now, before it goes out of stock. 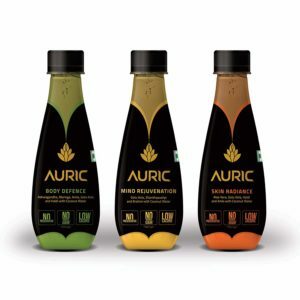 How to buy Auric Ayurvedic Beverage For Mind Body & Skin, Ready To Drink Juice, Superherbs with Coconut Water (Pack Of 3, Each 250ML) from Amazon? Want some gift for your loved ones? Here is a deal for you. 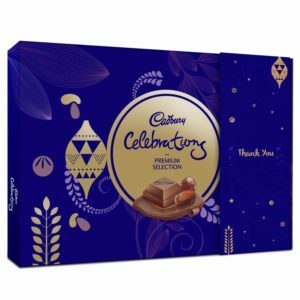 Amazon is selling Cadbury Celebrations Premium Assorted Chocolate Thank You Gift Pack, 286.3g for Rs 199 only. Cadbury is one of the well known brands for its quality and tasty chocolates. So, grab this awesome deal now, before it goes out of stock. How to buy Cadbury Celebrations Premium Assorted Chocolate Thank You Gift Pack, 286.3g from Amazon? Want to gift something to your loved ones? Here is a suggestion for you. Amazon is selling Cadbury Dairy Milk Silk Heart Shaped Valentine Gift Pack (2 x Silk 60g + 2 x Silk Bubbly 50g), 220 g at 53% off. So, grab this awesome deal now, before it goes out of stock. 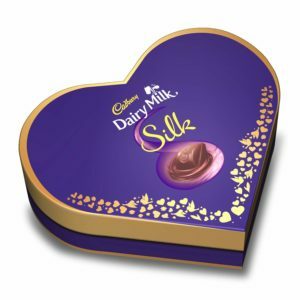 How to buy Cadbury Dairy Milk Silk Heart Shaped Valentine Gift Pack (2 x Silk 60g + 2 x Silk Bubbly 50g), 220 g from Amazon? Here we are back with a new deal for you. This time deal is on Saffron, as Amazon is selling Kashmir Pampore Organic Saffron, 2 Grams Net (Pack of 1gm X 2) for Rs 400 only. Reviews of this product are good and rating is 3.9/5.0. So, grab this awesome deal now, before it goes out of stock. 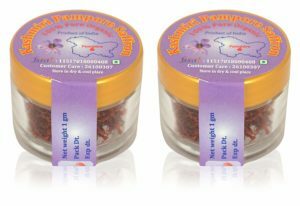 How to buy Kashmir Pampore Organic Saffron, 2 Grams Net (Pack of 1gm X 2) from Amazon? Here we are back with a new deal for you. 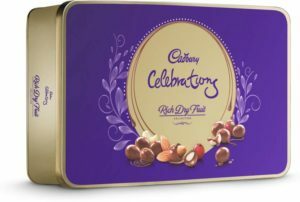 Flipkart is selling Cadbury Celebrations Rich Dry Fruit Chocolate Gift Pack, 177 g Brittles(177 g) for Rs 225 only. 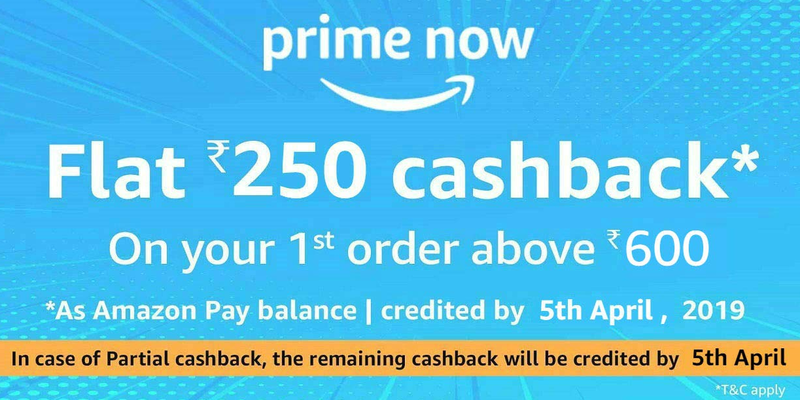 So, grab this awesome deal now, before it goes out of stock. How to Buy Cadbury Celebrations Rich Dry Fruit Chocolate Gift Pack, 177 g Brittles(177 g)?